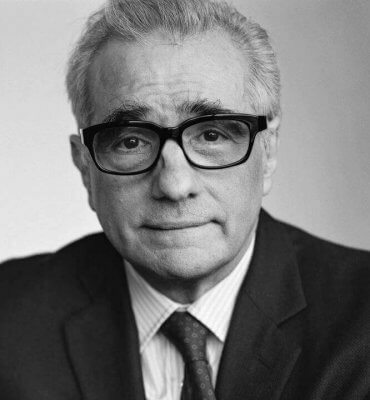 FREO is thrilled to have Martin Scorsese’s support in our effort to preserve and restore the 1868 Erben pipe organ! New York, NY: Preservationist, historian and Academy Award winning filmmaker Martin Scorsese is lending his support to “Friends of the Erben Organ,” a newly formed 501c3 non-profit whose mission is to restore and preserve one of the most important historic instruments in America, the iconic 1868 Henry Erben pipe organ cited by the Organ Historical Society as “an instrument of exceptional historic merit.”  He has joined the $2 million fundraising campaign to restore it by donating his 75th birthday to the preservation effort. The Friends of the Erben Organ website www.erbenorgan.org has a special page where donations to the pipe organ’s preservation can be made in honor of Mr. Scorsese’s 75th birthday. “Why preserve this glorious instrument? Because it is unique and irreplaceable. It is the sound our parents and grandparents heard at the most sacred moments of their lives. The Erben organ’s beauty of tone and form, created by immigrant craftsmen, inspires us still. We must preserve it because it is a musical work of art that tells us about our history, about where we’ve been. We cannot understand the future or the present, unless we have knowledge of the past. Listening to the transcendent sound of this 19th century American masterpiece will take us where we need to be,” said Mr. Scorsese. This extraordinary instrument which moved him as a child is located in Mr. Scorsese’s childhood parish church, the Basilica of St. Patrick’s Old Cathedral on Mott Street. It serves as a catalyst for the arts in New York City, and an artistic focal point for visitors and performers from all over the world. Money raised will support the preservation of this instrument, considered the “Michelangelo of pipe organs,” as well as music education programs for children and their families. The greatest organ maker of the 19th century, Henry Erben, during his nearly 60 years of producing these works of visual and sonic art, was renowned for the uncompromising quality and beauty of his instruments. This organ is his magnum opus. Skilled craftsmen, many of whom were new arrivals to America, built it for a largely immigrant community. Today, people remain in awe of this incredible instrument. Martin Scorsese, by donating his 75th birthday to this effort, will assure that this national treasure does not go silent. About: The Friends of the Erben Organ (“FREO”) is a 501(c)3 non-profit corporation dedicated to the development of educational programs for children and families in concert with the restoration, preservation, and appreciation of the 1868 Henry Erben pipe organ, located in the NoLIta section of SoHo in Manhattan.